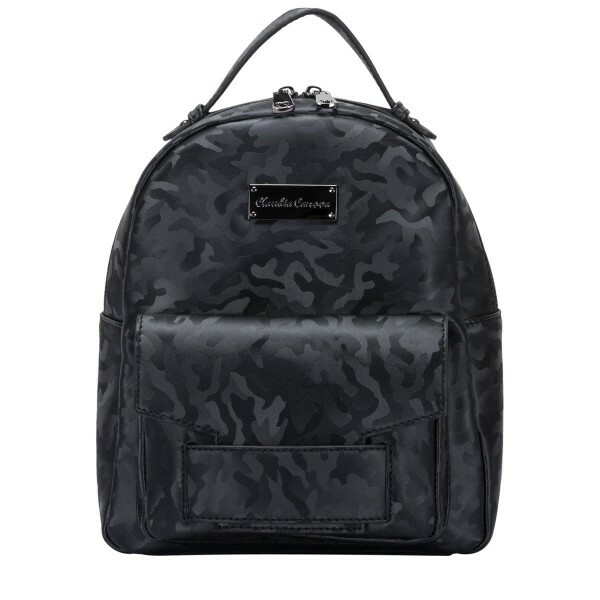 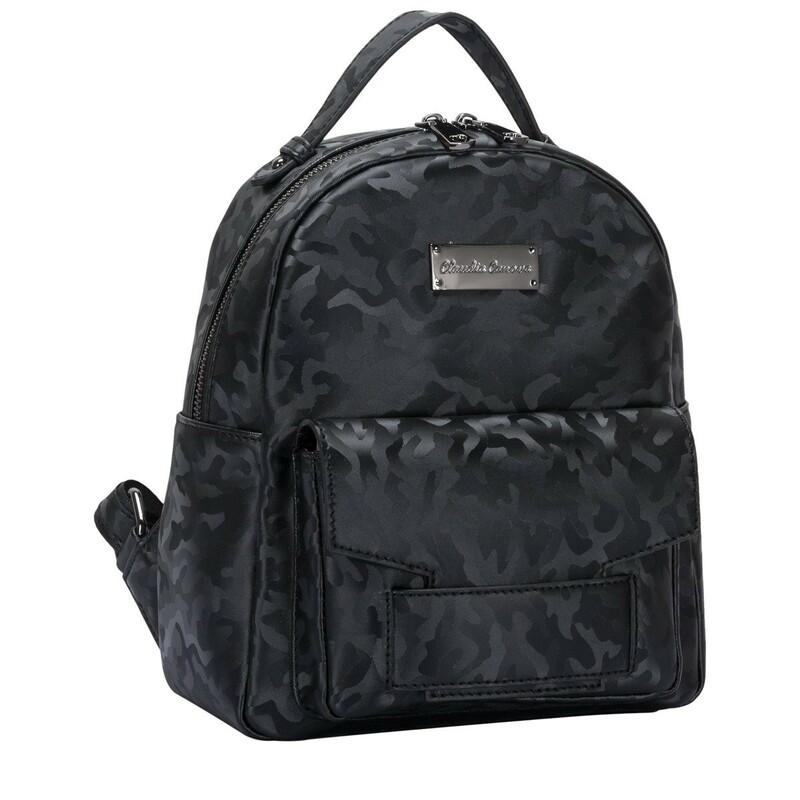 Up the fashion stakes with this black camo backpack, perfect for fun, relaxed style. 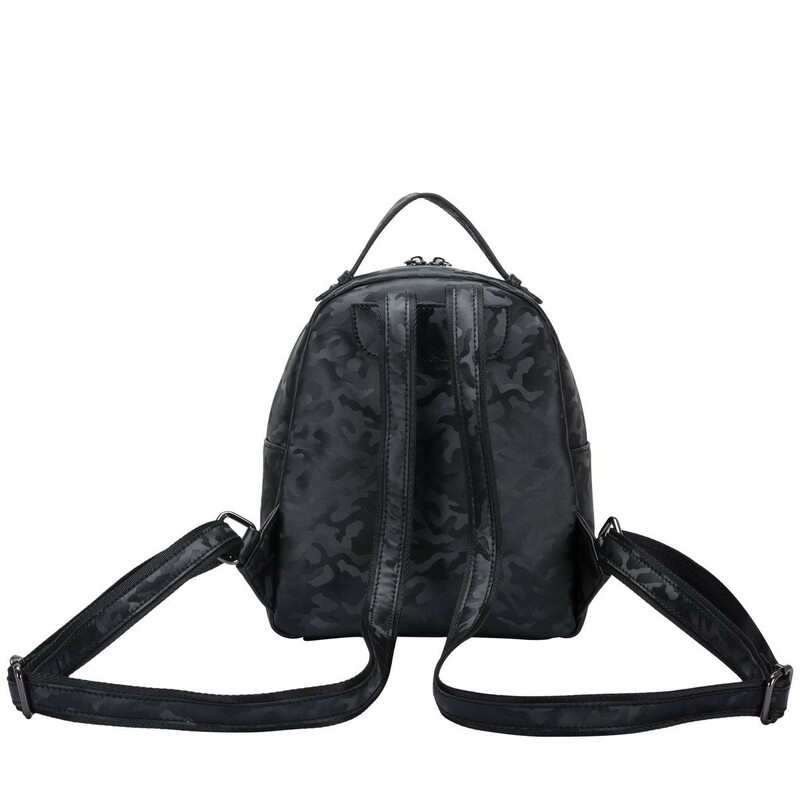 The understated gunmetal fittings complement the overall look. 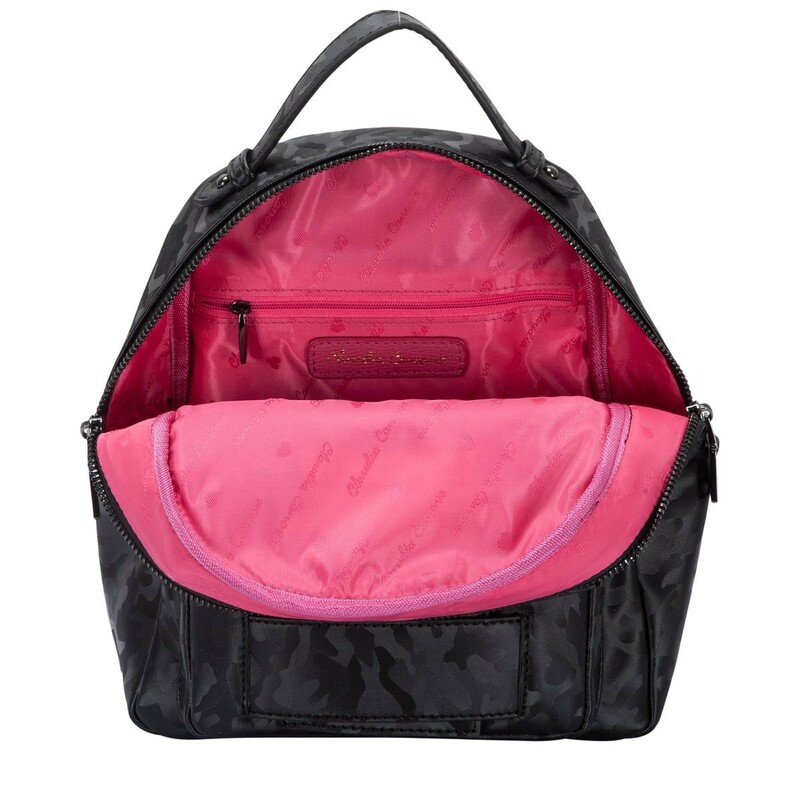 Inside is lined with the signature Claudia Canova lining, complete with inner slip and zip pockets for smaller valuables.